[Update: January 20, 2017] Our petition package has been delivered. 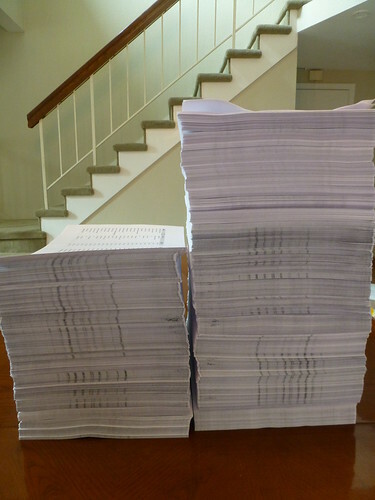 As of December 27, 2017, we have collected 442,158 signatures (a total of 19,686 pages) on our petition: Boycott PyeongChang 2018 Winter Olympics in South Korea, A Dog Eating Nation! 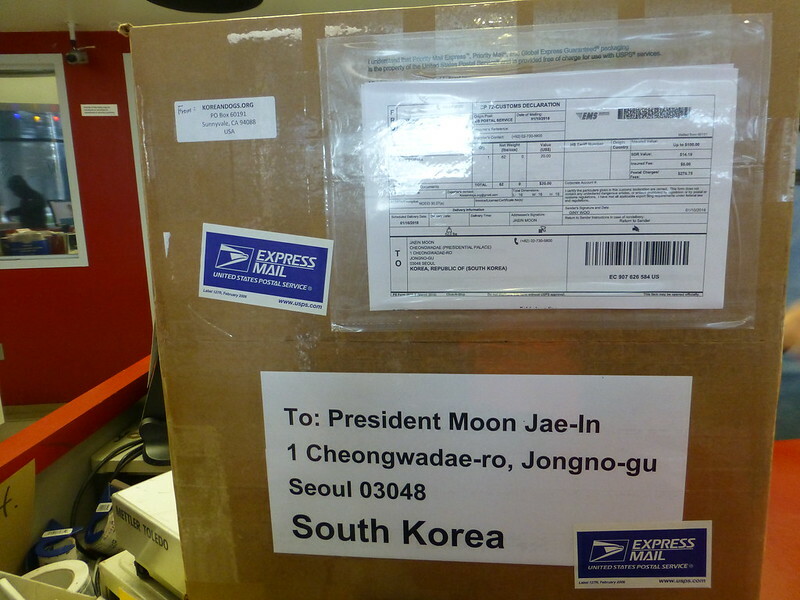 The petition was shipped today (January 10, 2018) via United States Postal Service Priority Mail Express International to President Moon Jae-In of South Korea. 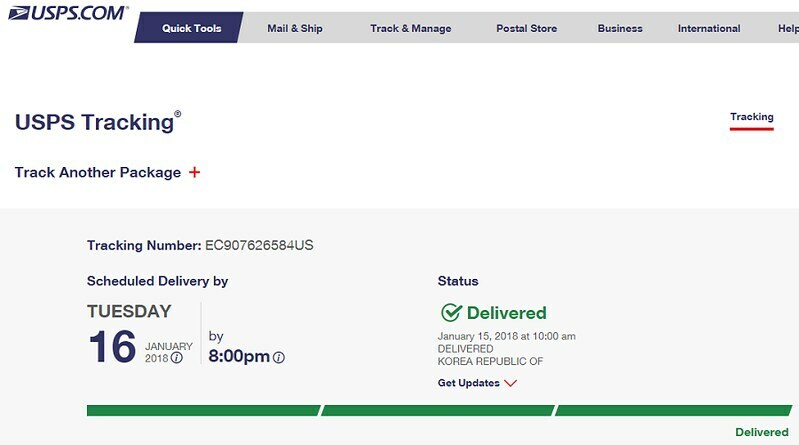 The tracking number is EC 907 626 584 US. It will be delivered within 3 to 5 business days. This shipment weighed 62 lbs and cost $276.75 in postage. 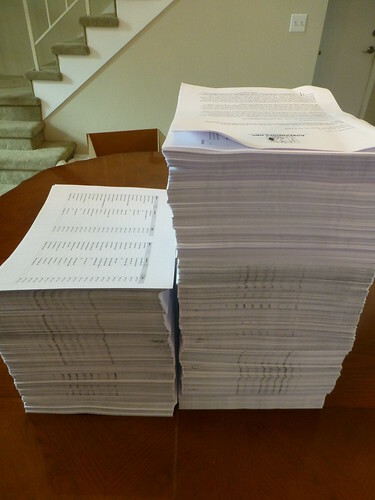 We have shipped the signatures of this same petition to the International Olympic Committee President on November 10, 2017 and received a disappointing response from him. Click HERE to learn more. Hoping for a better future for these animals. Great Work!! STOP THE DOG MEAT EATING FESTIVALS IMMEDIATELY PLEASE!! THESE ANIMALS DON’T DESERVE TO BE KILLED FOR CONSUMPTION AT ALL!! PLEASE FREE THEAE ANIMALS IMMEDIATELY!! STOP THE DOG MEAT AND CAT MEAT CONSUMPTION NOW!! THESE ANIMALS LOVE UNCONDITIONALLY!! Thank you for all your efforts to end this horrendous practice. I believe that dogs shouldn’t suffer and die for the trade in their meat. I support an end to the dog meat trade throughout Asia, and urge the governments of all countries where the trade in dog meat exists to work diligently and quickly towards eradicating this cruel and unnecessary practice. I know that is very disturbing but we cannot watch torture happen to the innocent and defenseless and do nothing! We were never given hearts and minds to think about the cat and dog meat trade, well they are not hurting me so I will look away and let it go on!We are better than this. It is our duty to do everything we can to stop this atrocity and genocides ASAP!!! Stop the dog meat and cat meat consumption and end with this horrendous practice. STOP KILLING DOGS, CATS IN THAT WAY, whatever you do on Earth you will pay on Earth, whoever is killing and protecting those idiots who are killing those poor animals would die in the same way, with a lot pain, suffering. AND i WISH AND PRAY EVERYNIGHT FOR JUSTICE, AND JUSTICE WILL COME so it better TO STOP, TO END THE MEAT DOG. EAT VEGETABLES. STOP THE MASSACRE AT YULIN. IT SHOULD HAVE BEEN STOPPED YEARS AGO.thousands of dogs and cats needlessly loose their lives by the most heinous things imagionable done to them. IT IS MADNESS AND CRUEL AND MURDER. THE MEN DOING THE KILLING LOVE KILLING THEM. NO REMORSE OR SHAME AT ALL. ENJOYMENT TO THE EVIL DOERS. THIS YULIN MEAT FEST HAS TO STOP NOW. DONT ALLOW THOUSANDS MORE LIJE WE ALL HAVE IN OUR HOMES TO BE SLAUGHTERED BECAUSE OF STUPIDY AND IGNORANCE. WE HAVE TO HELP SAVE THEM SO LET YOUR VOICE BE HEARD MOW BECORE THE KILLINGS START. THE SLAUGHTER FARMS HAVE TO BE SHUT DOWN AMD DOGS RESCUED AMD RECIEVE VET CARE TO SAVE THEM NOW. PKEASE HELP SAVE THEIR LIVES.